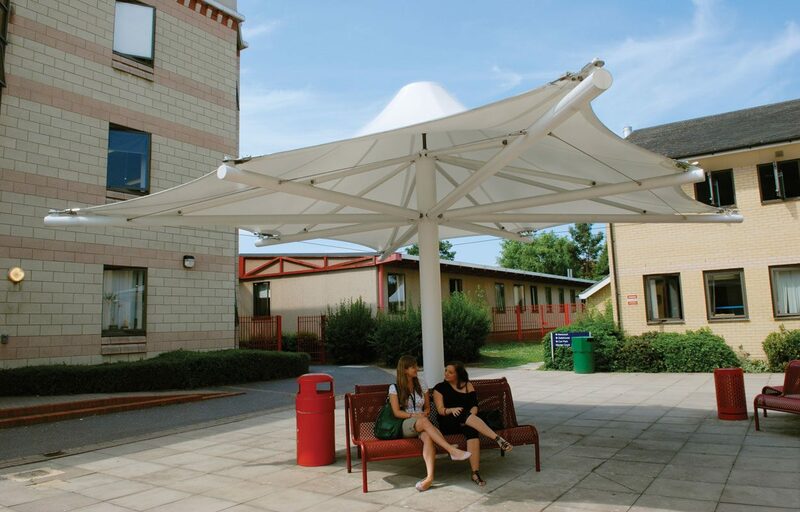 Set of single conic tensile canopies for Havering Sixth Form College. 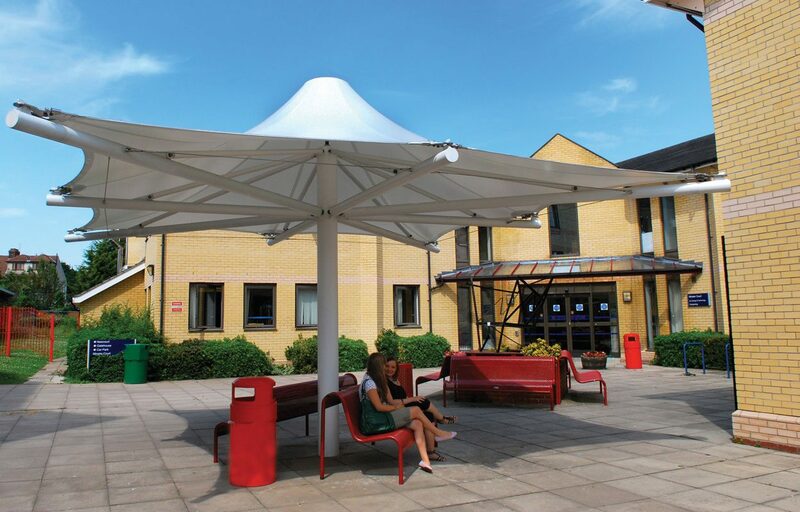 Havering Sixth Form College chose three 6 metre square single conic canopies from our standard range of tensile fabric playground shelters to provide sheltered spaces for their pupils. 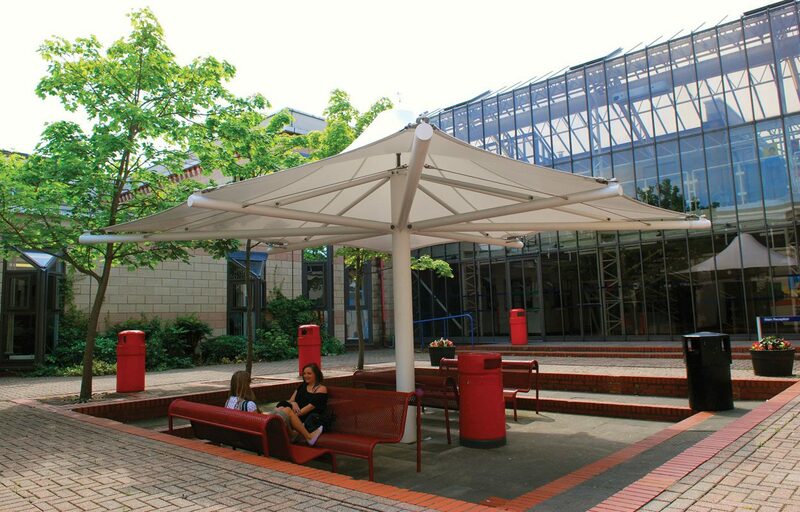 The tensile canopies create an environment ideal for dining and socialising in previously underutilised areas of the Sixth Form College. 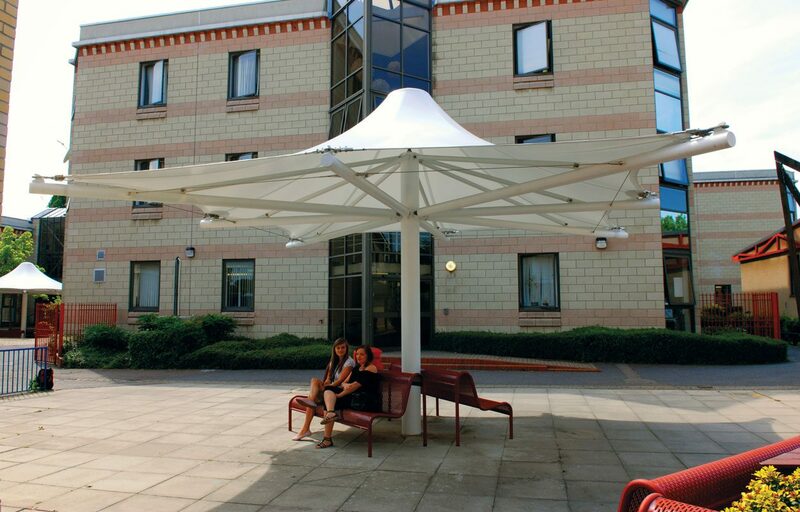 The single conic canopy has a high quality roof covering that is 100% waterproof, highly durable and offers high UV protection. The steel frame is CE marked which attests the verification by Fordingbridge that these products meet EU safety, health or environmental requirements.